It was the fall of 2000. I had just been hired as the Enrichment Teacher at Mansfield Middle School. I had never heard of “History Day,” as my colleagues called it, but it had a long history at the school. Dan, the person who had brought it to the school and who had managed it for more than a decade made it clear that he wanted to turn it over to me. When one is new at a school, and working in a position that is not mandated by state law, it’s a very good idea to say yes to lots of things, so I said yes. I have never been a fan of contests. In my experience most of them are little more than variations on “Jeopardy”- kids prepping by studying to answer lots of fact-based questions. Those that go beyond that are frequently much too bound by restrictive rules and “guidelines.” I was less than enthusiastic. Dan told me a little about NHD and gave me some information from CT History Day to read. It quickly became obvious that this was not Jeopardy! It was also not overly bound. There was plenty of room for student choice and student creativity. I was drawn in by the fact that the yearly topic was very open ended, allowing students to choose a project that would be very much interest based, and not necessarily tied in any way to curriculum; a sports minded student or group could do a project related to sports; same with music; same with just about any subject. I was drawn farther in when I read that kids could work alone, or work in groups of up to five people. I was yet farther drawn in when I saw that there were, at that time, nine different ways in which they could present their project, four for groups, five for individuals. And I was completely drawn in when I saw that the focus was on research, which was at the very heart of the project. It was now clear to me that any student who decided to do a History Day project was committing to a great deal of high-level, research based work. I couldn’t say yes quickly enough! I told Dan I would be happy to take this on but that I would undoubtedly need to call on him during my first year as there were bound to be lots of things I didn’t have answers to. He made it clear that he was happy to work with me as a partner on this as long as I took on the official role of coordinator and took care of the paperwork, supervised the projects, and did the rest of the day to day things involved in making History Day work. It turned out that whenever I needed him, he was there. In late November, armed with lots of information that was very new to me, I arranged to meet with grades 6-8, one grade at a time, to introduce History Day to the students and to hopefully recruit some interested kids. I prepared a PowerPoint and made my presentations. Little did I know that the kids were very familiar with this contest, and that there was a lot of interest, and even enthusiastic anticipation within the student body. When my presentations were finished and I collected the sign up information, I found that we had LOTS of students ready, and more than ready to participate. I worked with the teachers at the various grade levels and arranged for times during the week when students could be excused from Social Studies class in order to come to the “Interest Center,” (my room) to work on History Day. I also kept my room open during lunch and “X Block,” (It’s complicated. Let’s just say that rather than recess, my school had a 48 minute block at lunch time when students could choose for themselves which room they would go to, to do music, P. E., art, or to work with a particular teacher.) and kept my room open after school on Mondays through Thursdays so that participants could come in to work on their projects. Kids showed up. Not every student and group completed their History Day project that first year, but there were surprisingly few that dropped out of the contest, even though the school had set up a way for students to do that fairly painlessly. We continued to work through December, January, February, and into March. I did regular check ins with every group and individual. My school held an unofficial “Local History Day,” when students presented their work to other students, parents, and anyone else interested. This was held about a week or two before District History Day. It went well and it was well attended. Off we went to District History Day in Willington. We did very well. 19 of our students, most working in groups, finished in the top three, which meant that they would go on to CT History Day in Hartford. In early May we went to Hartford. Dan told me that with so many students at the state level it was entirely possible that two or three might go on to the National Contest. Several times in the past he had taken a student or two to the University of Maryland for the national event. CT History Day was a fun day. Our kids presented well, and Dan or I, sometimes both of us, managed to be in the audience for every presentation by our students. That afternoon the winners were announced. Mansfield Middle School managed to place eleven students either first or second, which meant we would need to figure out a way to get those eleven, with chaperones, to the University of Maryland for the national contest. This involved having them stay in college dorms from arrival on Sunday through the contest award presentation on Thursday. The CT History Day event was held on a Saturday. When we got back to school on Monday morning Dan and I met with our school Principal to give her the great news/bad news. The great news was that so many of our students had done so well. The bad news was that this was going to cost a good deal of money, much of it coming from the school’s budget, and that one teacher or more would need to be away from school for four days in June. We talked it all through and came up with a plan. One thing that worked in our favor was the fact that I had a bus driver’s license. In the end we decided that I would drive us to the University of Maryland. So bright and early on the Sunday morning in question we loaded 11 students, two moms, and all of our luggage and NHD gear onto the fourteen passenger school bus. I climbed into the driver’s seat, and off we went! We arrived in Maryland late in the afternoon, registered, found a place to park the bus, and found our dorm. Much to our dismay we were placed in a dorm that was NOT air conditioned! It was a long four days (and nights). Despite that, we had a wonderful time, presenting our projects, visiting some local attractions (we were about 15 minutes from D. C.), hanging out in the dorm and around the campus… The students made lots of new friends from all over the U.S., in and around the Student Union and at the NHD sponsored dance. On Thursday at the award ceremony, we found that one of our students had won the prize for best project from Connecticut! We had packed the bus before the ceremony so as soon as it ended, we were on our way home. We arrived home in the evening. I’m not sure about the students but I know I did a lot of extra sleeping over the following few days. I coordinated History Day at Mansfield Middle School from 2000-2010, when I retired from teaching middle school. During those years I went to the Nationals eight times, sent a mom and her son once. Only once did we send no one to the national contest. Since my retirement I have judged at both Regional and State level every year. There were years when our school had more than 100 students participating in NHD. There were some truly outstanding projects, many very good ones, and some that were less than wonderful. I have no doubts that every student who participated in History Day came away learning so many things- how to do effective high level research, how to plan time through the course of a long project, how to make decisions in a group situation, how to make critical choices regarding what to include, how much to include, and what to leave out, and so very much more. I absolutely believe that every student becomes a better student through participating in NHD. The way the contest is set up makes that inevitable. Long live National History Day! ​Wayne Trembly is a retired teacher and the former Connecticut History Day Coordinator for Mansfield Middle School. ​​This weekend kicks off contest season for Connecticut History Day! Students attending the New Haven Contest at Southern Connecticut State University will have their projects judged by educators, history professionals, alumni, and volunteers as they share their projects about Triumph and Tragedy in History. At the end of the day, the first round of students will know if they are heading to the State Contest in May. Whether this is your first contest season or your last, there are always tips on how to get the most out of contest day. Regional Contests aren’t just about presenting your project. This is your chance to meet new friends, experience new things, and interact with others who are passionate about history. Below you can find information and tips on what to expect on contest day and what you can do to get the most out of it. Connecticut History Day staff waiting to check in students for the 2018 Hartford Regional Contest. When you arrive at your regional contest, there will be some parts that are the same for every student across the state. You'll check in for the contest and attend the Welcome Ceremony, you'll present your project, and you'll have the chance to view other student work. Each contest has a variety of other opportunities for students to take advantage of as well. Attend a living history or musical performance. 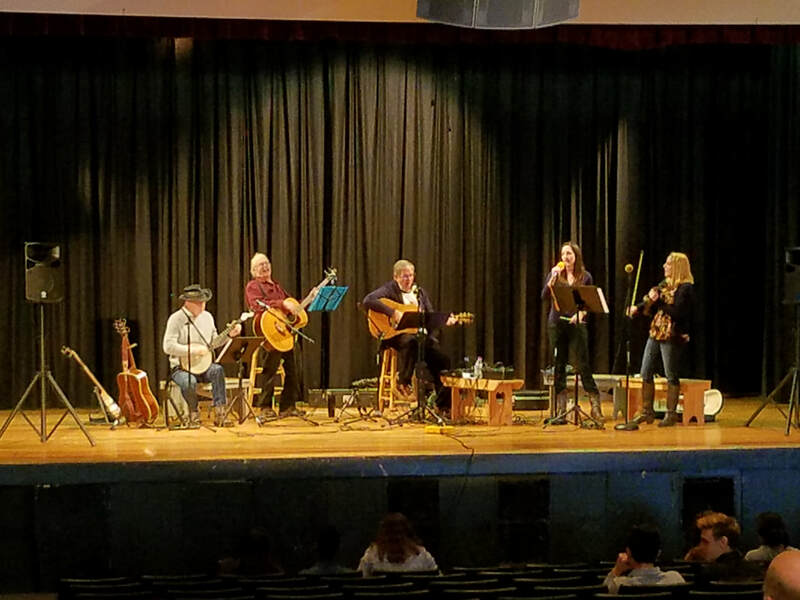 The Band of Steady Habits, featuring Connecticut's State Historian Walt Woodward, performs at the 2018 Torrington Contest. Four copies of your process paper and annotated bibliography for Exhibits, Performances, and Documentaries. Even though you have already submitted your website or paper, you may want to bring an extra copy of your paperwork for your own reference. Your props, costumes, and script if you are presenting a Performance. A copy of your documentary on a DVD, thumb drive, or laptop for Documentary students. You may want to bring extra materials-- like tape, scissors, etc.- to do any minor repairs on your exhibit. Along with presenting your Exhibit, Performance, Documentary, Website or Paper, you also will go through an interview about your project. This is one of the things that students get most nervous about. Judges are excited to meet students and learn more about your research. Remember, you are not judged on your interview. Try to relax and enjoy sharing about your work! A student does a quick repair on her exhibit before the 2018 State Contest. There is a lot to do on a contest day. There can also be a lot of down time between when you arrive, present your project, and the closing ceremony. To make the most of your day, make sure to take advantage of the opportunities listed above and consider the tips listed below. Cash, most contests have food or snacks available for purchase. Many have restaurants nearby. -Your phone to take pictures throughout the day. Make sure to share them on social media by using the hashtag #CHD2019 and #CTHistoryDay! Contest day is all about what you make of it. So have fun and enjoy your time at Connecticut History Day! Make sure to follow Connecticut History Day on Facebook, Twitter, and Instagram! 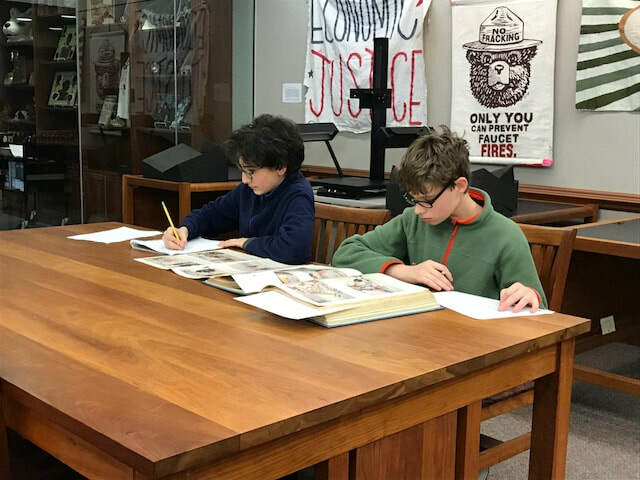 ​As we get closer and closer to the first Regional Connecticut History Day contest for the year, students should be well into the creation of their papers, websites, performances, exhibits, or documentaries. There is always room to further research though and dig deeper into a topic. Since the start of the year, we’ve shared some resources from around the world and around the country for students to use while researching. Today, we’re taking a look at what is available right here at home! Connecticut has dozens of resources available for students to use when conducting research for their history day projects. As always, these are not the only resources available to students and we would love to know what resources your classes are using! Make sure to share with us by emailing your class favorites to info@historydayct.org. The resources listed below are available online or in person. Addresses for the physical locations of these resources are listed. The Dodd Reasearch Center is home to Archives and Special Collections at UConn. While students can visit the Center in person, many of the collections are available online through their digital repository. The collections available range from information on Connecticut Business to local history, politics and public affairs and much more. The Connecticut State Library offers resources for researching just about everything related to the state. From colonial records to Native American research and beyond, they have it all. The State Library also has a large digital collection that students can use to view books, diaries, journals, photographs, and more to help with their research and project development. CHS offers online and in person access to their archives. Through their website, students can go through online catalogs and find helpful guides to finding manuscripts and other resources. Students can also visit the Waterman Research Center at the Historical Society to view items in person. Information and regulations for visiting the Waterman Research Center are available here. 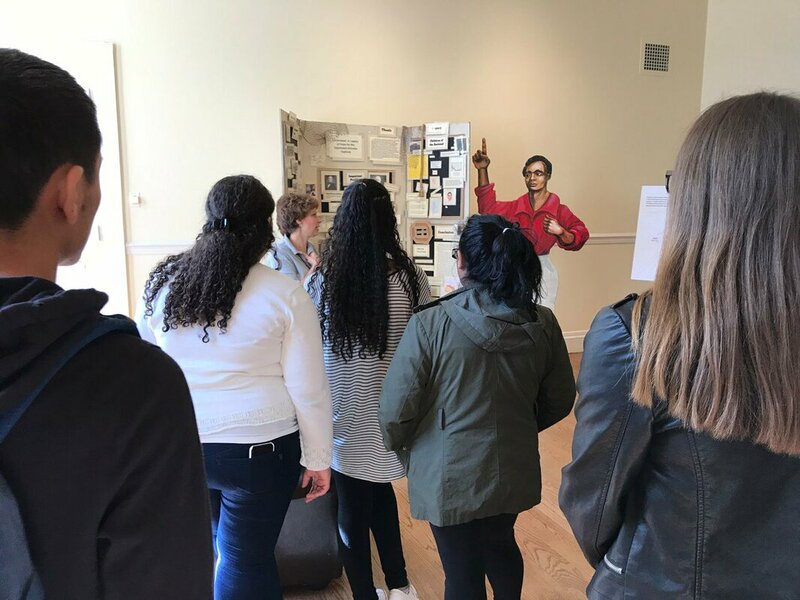 Across Connecticut, there are many more museums, historical society, and research centers that can help students learn more about their topics and aid their research. Visit the Connecticut Resources section of the Connecticut History Day website for more! Several years ago, when I was teaching a Modern World History lesson about Louis XIV, one of my students realized that she had actually visited his palace as a child. She eagerly shared with her peers her memories of its size and the endless gardens on the property. Up until that point, students sat quietly listening to my presentation and taking notes. Yet, once a fellow classmate made a personal connection, the excitement was so contagious that everyone wanted to learn more about her trip. My student’s realization was every teacher’s dream; she was able to use a personal experience to develop a deeper understanding of the course content. Turning that dream into a reality in the classroom is no easy task, though! Since many of our students will not visit the faraway places that they study in their history classes, we need to find creative approaches to build authentic experiences into the curriculum. 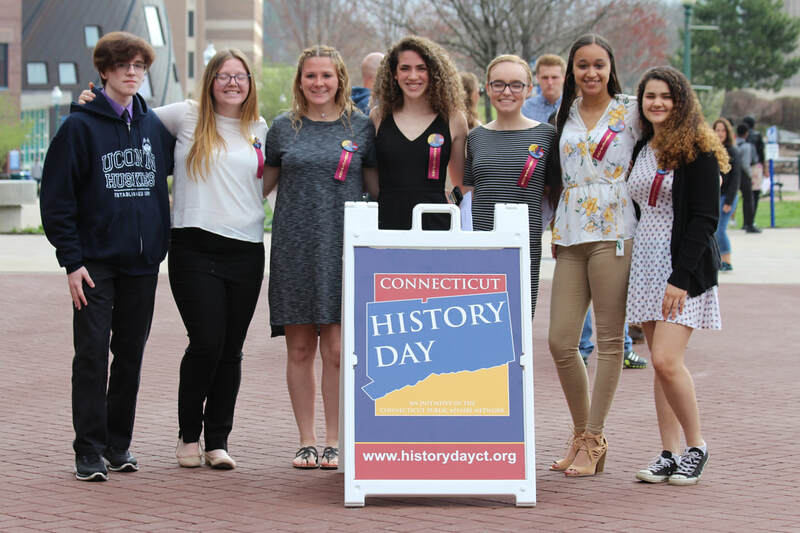 ​When I had the opportunity to teach a high school capstone course that centered around the Connecticut History Day project, I knew that I needed to provide students with opportunities to extend their learning beyond the classroom walls. More specifically, I wanted to motivate students to continue learning about their project topics after the bell rang to end class each day. Rather than hand out a list of research requirements on the first day of class (there is no fun there! ), I tried a different approach by creating a set of voluntary “challenge projects” that students could complete throughout the semester. Assignments included tasks such as visiting museums or historical societies, reading outside texts, interviewing individuals, or even developing student-proposed projects. Since these assignments were voluntary, I did not grade them. In fact, if students did not complete them, their averages were not penalized in any way. If students did choose to complete at least two of them (and fulfilled the assignment criteria), they were eligible to receive honors credit for the course. By the end of the semester, over half of the class had turned in at least two projects, and all of students were able to integrate their work into their actual History Day projects. The “laid back” format worked so well that I ended up using it in an elective course that I taught the following semester. I was most surprised with students’ resourcefulness as they engaged in their work, particularly when it came to interviewing individuals. Overwhelmingly, students realized that the real “experts” were the people who lived through the events they were studying. Students were able to connect a woman who was a teenager in East Berlin in the 1980s, a police officer who worked at Ground Zero after the September 11th attacks, and a survivor of the Stonewall Riots. One student summed up his interview perfectly: “It was a different experience compared to when I read about how citizens felt by reading database articles or websites.…I was able to get a better idea of what she was dealing with and thinking because I was talking to an actual person who lived through it.” I often reserved a few minutes of class time each day for students to share exciting news related to their research. Without a doubt, when students heard success stories like that one, they became more motivated to step outside their own comfort zones and initiate their own interviews. At the beginning of the semester, my class visited Rebecca Taber-Conover at the Old State House to learn more about the History Day project as well as the history of the building itself. While we were there, Rebecca shared examples of projects from past years, many of which included the types of authentic research that I was asking my own students to undertake in their challenge projects. Consequently, students started off the course with some clear models of how their research might “come together” at the end of the course. Furthermore, they were able to see firsthand how much they were able to learn about U.S. history just from an hour-long visit to a historic site. A class-wide “site-based experience” was a great way to kick-off the course and get students excited about beginning their own research. If you are just starting out doing the History Day project with your classes, I definitely recommend that you build your own form of “challenge projects” into your class. Many topics in history have connections to Connecticut, so your students might be surprised at the resources that are available so close to home. Most importantly, students will realize that history is so much more than a list of names and dates that they read online; it is their interpretation of that information based on who they are, where they live, the people they meet, and stories they uncover. Joseph Marangell is the social studies coordinator for East Haven Public Schools. History Day is all about students picking a topic that interests them and becoming an expert in that topic. By this point, students should be deep into the research part of their project. For those who still need some assistance, we’ve been collecting resources to help students through this process. Recently, we shared our U.S. History resources. This week, we’re taking a look at some world history resources. Again, these are not the only resources available to students and we would love to know what resources your classes are using! Make sure to share with us by emailing your class favorites to info@historydayct.org. Created by the Library of Congress with the support of the United Nations Educational, Scientific, and Cultural Organization, the World Digital Library offers thousands of digital resources for students to use. The WDL includes interactive timelines of world history, United States History, and World War I; interactive maps; and themes are a few certain topics that give an in-depth look at a topic. The Library of Congress doesn’t just focus on U.S. History. In its collections, the LOC provides country studies for numerous places around the world along with related content to those studies. The country studies in the collection were written by multidisciplinary teams of social scientists. The collection also includes studies of countries that no longer exist but could be useful for certain topics such as Czechoslovakia, East Germany, the Soviet Union, Sudan, and Yugoslavia. Created by Brigham Young University, EuroDocs provides open access to documents from throughout European history—even back to Prehistoric and Ancient Europe! This tool can help students further their research by country, time period, and topic. While you may not be able to travel to England to visit The British Museum, you can take an online field trip! The British Museum offers all sorts of different research tools for students to use during their research. They can view over four million objects from the museum’s collection, browse through their online library, use their online research catalog. For more ideas on where to look online for research, students can visit NHD.org and look through their helpful research links tab. 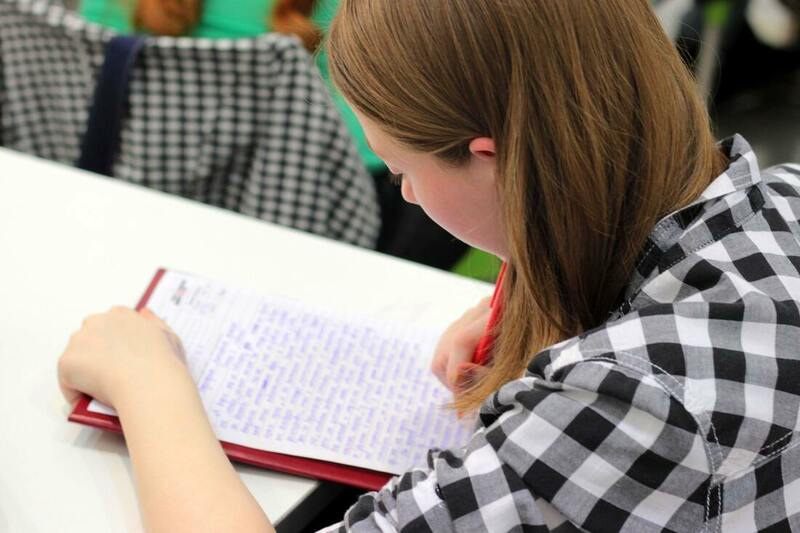 National History Day has collected dozens of websites for different organizations, museums, libraries, and more to help with student research. I come to Connecticut History Day not as a student, not as an educator, but as a parent. 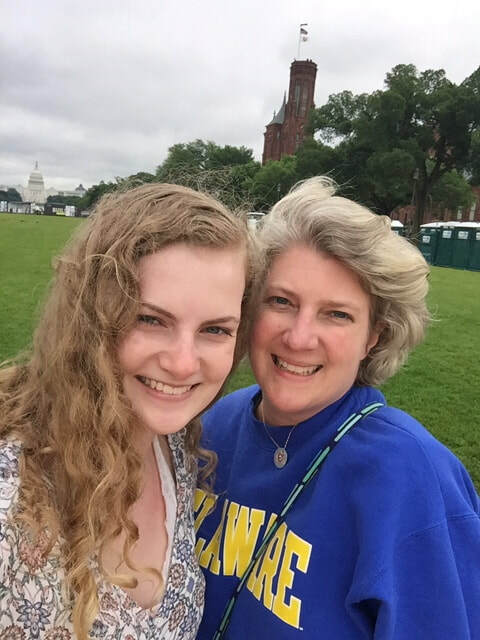 My role has evolved over the last six years as I have gained perspective on how to best support, encourage, and maintain expectation with my daughter Lindsay, who is passionate about history and passionate about History Day. A bit of background. Lindsay began participating in the performance category of History Day in 6th grade. She was introduced to CHD through the Quest Program as Sedgwick Middle School, under the guidance of her teacher, Jennifer Hunt. As 2019 starts, Lindsay is now in 11th grade and about to participate for the 6th time. That first year, I'll be honest, I had no idea what History Day was about. Lindsay largely conducted her research and wrote her script as school. All I knew was that she needed a few props for her "Triangle Shirtwaist Factory Fire" performance and the date she was to perform. We arrived in Torrington and I was shocked. Shocked by both the level of talent and the level of competition. 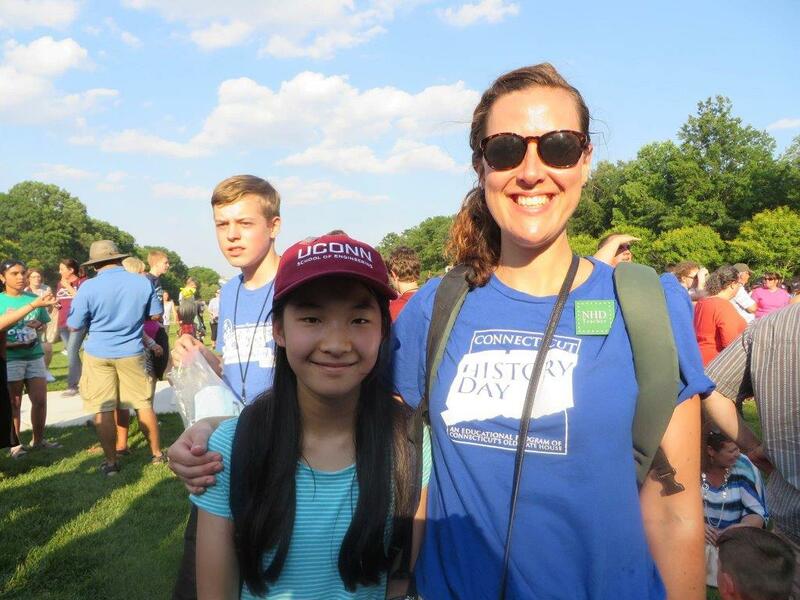 Based on her amazing experience that day, Connecticut History Day soon became on integral part of our life. I have learned that my job as a parent is to provide Lindsay with support in three different areas. The first is access. Access to the tools and resources she needs to create a successful CHD project. That can take different forms. For example, the year Lindsay did a performance on Peggy Shippen Arnold, Benedict Arnold's wife, we spent Columbus Day driving around the Benedict Arnold Trail in Norwich and New London. We visited Fort Griswold Battlefield State Park, the Ebenezer Avery Historic House, Fort Trumbull, and visited the grave site of Col. William Ledyard who was killed during the siege. Providing her access to be in the physical spaces where history took places provides her with the ability to create her own picture and thoughts. 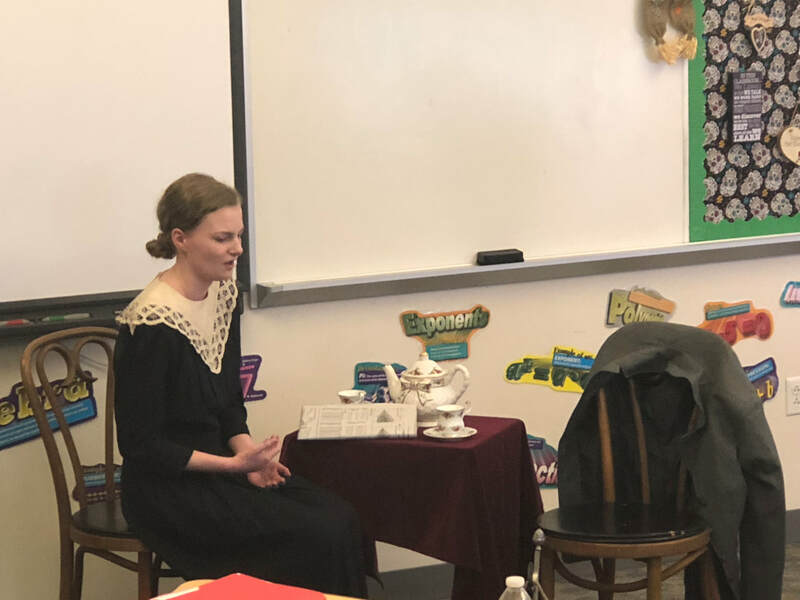 Lisel's daughter, Lindsay, performing one of her pieces for a Connecticut History Day contest. My next job, after her research is largely complete and she has begun to write the script, is to listen and encourage. Listen to her thoughts about the script, how she wants to stage the performance. Ask questions to further narrow down her topic, to get her to clarify exactly what she wishes to convey. This can be challenging. She does not always want to hear my opinion, even when asked. In the end though, it is her decision, it is her project. I am here to be a sounding board. My last job is to manage expectations. This has been the hardest area for me and I have become better at it as the years have gone on. As a parent, you always want your child to do well, to win the medal, to move on to the next level, but that doesn't always happen. It took Lindsay four years to win at the State Contest in the performance category and move on to Nationals, a goal she set for herself back in the 6th grade. In the first three years, she would get close but not move on. I can tell you there were many tears shed. She had to learn that she can't always win. She had to learn how to be graceful and supportive of those who did win. She had to learn that winning does not define her or her work. Not easy concepts to process even as an adult. She has learned to take the good with the bad and look at CHD as a journey, not individual events. Lisel Moynihan is a long time Connecticut History Day parent, supporting her daughter, Lindsay. Earlier this month, we introduced our Research Resources blog series to help students further their research. Last time, we shared tips on conducting strong online research. This week, we'll be sharing some of the numerous national resources available to students. As always, please feel free to share your resources with us by emailing them to info@historydayct.org. By this point in the history day process, students should be deeply researching their project. They should be digging deep and becoming experts in their topic. Research can be overwhelming though and for those doing CHD for the first time, it can be scary. There are many easily available resources that we will be sharing right here on the Connecticut History Day Blog. Over the next several posts, we'll be sharing resources for U.S. history, local history, and world history. Keep in mind that any of these resources could be useful for a variety of types of history, not just American history. The Library of Congress (LOC) online offers millions of records for books, manuscripts, letters, maps, images, and so much more. Students can even ask a Librarian for assistance by emailing a question to a LOC subject specialist. The LOC also curates digital collections to help scholars find resources related to a specific topic-- anything from African American perspectives and presidential papers to baseball cards and band music from the Civil War era. The National Archives offers specific National History Day online research tools to aid students in their research. Resources in the NHD section of the National Archives website are organized by time period (ex. American Revolution, Industrialization, World War I, etc.). Student can find information on further resources and how to cite National Archives documents. Students and educators can also find information to learn how to work with primary sources. The US House of Representatives offers students a full Triumph & Tragedy Resource Guide with all sorts of topics and resources pulled form their website. The NHD page is organized by topic and gives students different historical highlights, records to review, and collection objects. In some cases, blogs are included that give further insight into the topic. A part of Yale Law School, the Avalon Project offers a large number of documents related to law, history, and diplomacy. The documents have all been transcribed to make them easier to read. Each document includes a source for each item and then supporting documents expressly refereed to in the text. Offering thousands of resources, the Digital Public Library of America includes images, books, news, oral histories, and more for students to access for free and immediate use. Of course, there are hundreds of other resources available for students to use during their research. Feel free to share your class' favorite places to research with us by emailing them to info@historydayct.org. Note: As of January 25, 2019, some of the resources listed here have a pop-up regarding the Government Shut Down. The resources are all still accessible and available for students to use. Over the next few weeks, we'll be sharing research resources for students to use to further their research for History Day. Please feel free to share your resources with us by emailing info@historydayct.org. ​Historical research requires discipline, perseverance, and the ability to analyze and evaluate information. Nowhere are these skills more important than when conducting that research online (where significant amounts of fraudulent or misleading information can be found). But the Internet can be an excellent research tool when used appropriately and has brought previously unimaginable degrees of convenience to the research process. So where should students go to find the information they need and how can this information be evaluated to ensure its credibility? 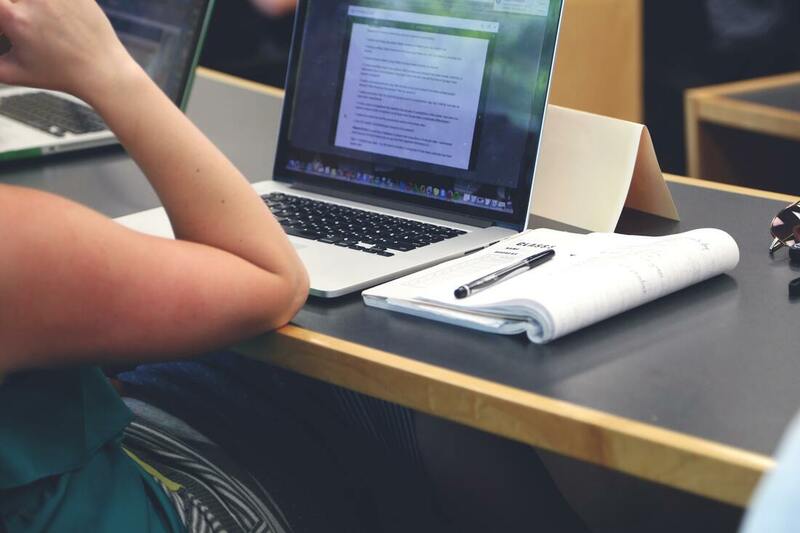 Search engines are usually the first stop in any student’s research, but the manner in which the searches are conducted may not always produce optimal results. Students should be encouraged to use concise wording in their searches, and then based on the results, refine or broaden their searches to increase the likelihood of success. For example, a search targeting “earthquakes” in Connecticut might be made more complete through the inclusion of terms such as “seismic activity” or “natural disasters.” Even changing one or two words in a search can make a big difference in what information is brought to light. It should also be noted that students need to look beyond the results produced by their favorite search engine. 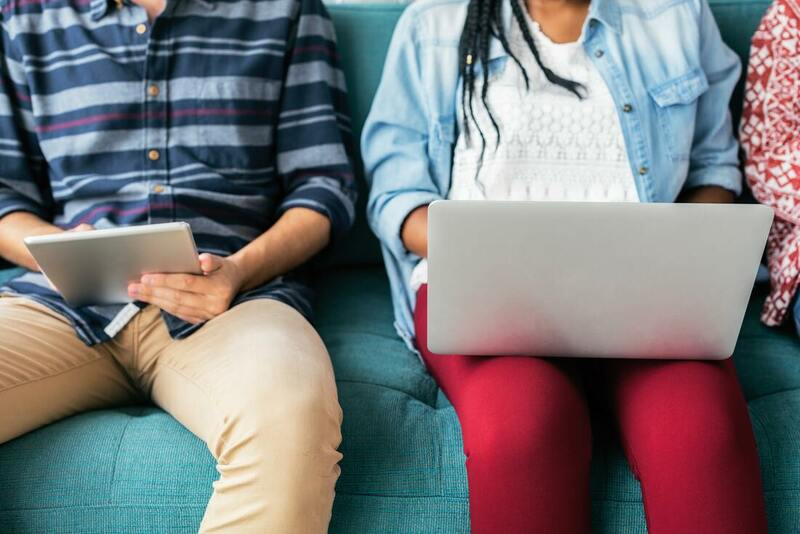 Not only does the Internet provide multiple free search engines (all of which may produce different results), but there are also research databases and reliable websites that may direct students to some of their most rewarding finds. A small sample of these resources include ConnecticutHistory.org (https://connecticuthistory.org/), the National Archives (https://www.archives.gov/), the Connecticut State Library (https://ctstatelibrary.org/), the Connecticut Digital Archive (https://ctdigitalarchive.org/), the Library of Congress (https://www.loc.gov/), and the Smithsonian Institute (https://www.si.edu/). Additional local resources can be found at museums, historical societies, and at history and heritage organizations across Connecticut. ​Libraries can be great centers for digital research. 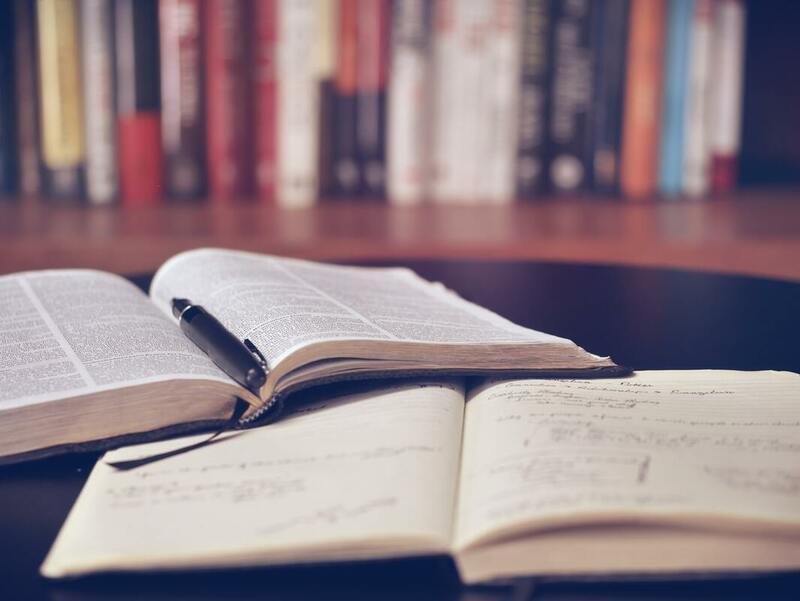 Many libraries are free and open to the public and their digital resources may include online catalogs of their collections, academic journal subscriptions, and numerous specialized research databases. In addition, just because students are conducting their research online doesn’t mean they should remove human interaction from the equation. Librarians are trained to navigate research collections and know how to find information both on- and offline in ways most people don’t. A consultation with a local librarian can be an invaluable step toward discovering information a student probably didn’t know existed. Who is the author (or sponsoring organization)? What might have been the author’s intention for writing this piece? Is the author trying to sway a reader’s opinion by writing this? Are there any potential biases or conflicts of interest involved in this particular author writing about this particular topic? Has this information been subjected to a review process prior to publication? If so, by who? Are there references provided so that the information presented in the work can be verified? How might the time and place in which this resource was published possibly affect its content? Keep in mind that online information lends itself to easy “recycling.” It is always a good idea to check the bibliographic resources of an article to see if the information is based on original research or merely just restating someone else’s work. Lastly, a student should be able to verify a “fact” in multiple resources. It is important to get information from several different sources offering varying perspectives and not just rely on the “loudest” voice on the Internet. Gregg Mangan is an author, historian, and the managing editor of the ConnecticutHistory.org project at Connecticut Humanities. When you think of History Day, what comes to mind? Intricate exhibits, engaging performances, compelling documentaries… while the products are what we see publicly in History Day, they represent the tip of the proverbial iceberg. These products, to be effective, must be built on a strong backbone of research. ​Research has the reputation of being dull and tedious, the less glamorous precursor to project creation. But just as you cannot build a house without a foundation, you cannot create a project without the context, content knowledge, and perspectives that come from research. Especially if you’re working with beginners (my school’s program starts in Grade 6), the practices of note-taking and annotating a bibliography might be entirely new. I create an electronic note guide for all groups to customize, including spaces for source citations, annotations, and paraphrased notes. This takes away the "how" in the research process so students can focus on the "what". Our History Day program lasts from late November until the March contests. I create assignments and deadlines every two weeks to help students manage and pace the workload involved in History Day. This also allows me to provide feedback and revision ideas throughout the process. This could be as simple as a visit to your school or town library to find print sources. I’ve also found tremendous value in visiting a nearby university with students- we conduct research at the archives and in the library. The students always report feeling so grown-up and accomplished after these outing. You’re never far from a college or university in Connecticut, so take advantage of these troves of academia. I find many students have the tendency to learn eight gazillion details about their topics without proper context. The best projects involve what I call “round” research that is far from tunnel-visioned. If you’re researching an author, what similar authors preceded her? How was she similar to or different from other authors of her time? What was the impact of her work? Who praised and criticized her? It’s important for educators to guide students in researching context and multiple perspectives as sometimes students can see learning context as a pesky detour on the road to amassing knowledge on a single topic. Research can be difficult and frustrating. “It’s like fishing,” sixth-grader Catherine says. Not all sources are useful. Sometimes, like a fisherman, you find a source and come up empty-handed in terms of relevant information. Research takes time and patience, and the reward of the medals and interviews seems far away. The more you can teach students to acknowledge and persevere through the research stages the better they’ll be. I use this as an opportunity to discuss short versus long term rewards, and this distinction and awareness can be applied well beyond History Day. Thorough research provides the roots to ground a flowering project in rich soil. My final tip is to model enthusiasm and excitement yourself. If you act like an explorer on a hunt, your students will follow suit. Jenn McMunn is a Connecticut History Day teacher and former coordinator for the Mansfield Regional Contest. 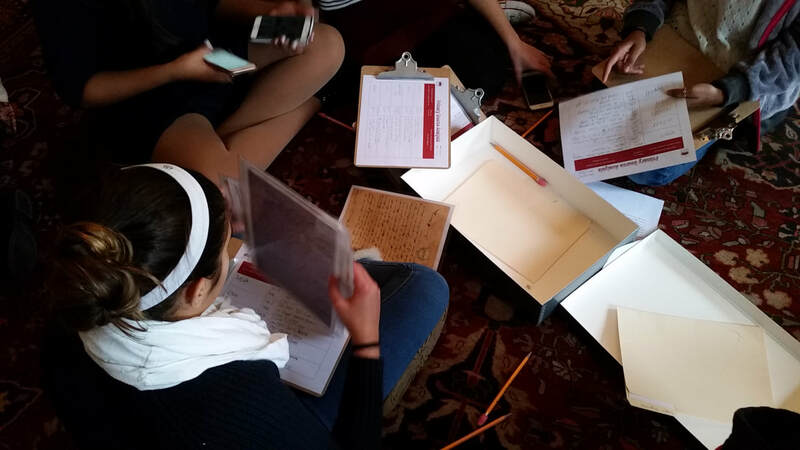 ​One of the most important elements of a history day project is that students need to show how their topic fits within the historical context around it. History doesn’t just happen. It is influenced by people, events, politics, society, innovations, and more. As students move from researching their topic to shaping their project, here are some ways for them to think about historical context. ​Background Events- No event happens without something leading to it. Students should look at what events, societal changes, or innovations happened in the years before their topic. Think about how the Treaty of Versailles led to the start of World War II. Or how the enacting of new acts and taxes on the colonies led to the American Revolution. Social Context- What was the social environment like at the time? Students should consider what the social norms were at the time. For example, how did racism, segregation, and Jim Crow laws set the stage for the Civil Rights Movement? ​Intellectual or Scientific Context- How do or did experts understand your topic? Students should think about how people thought at the time and what technologies were available. What did scientists believe about the transmission of diseases? What did people think of the world around them? Cultural Context- What were the cultural norms at the time? Students should examine how society viewed and expected people to behave. What were the prevailing views on women’s place? What behaviors were considered appropriate or inappropriate? Who was allowed to have certain jobs or be in certain places? Economic Context- How did the economy shape people’s lives and choices? Think about how people had to live during the Great Depression or Germany before World War II. ​For most students, they will find that their topic will be the result of a response or reaction, or attempt to change the circumstances of the time. Understanding historical context will help your students best describe changes over time and identify the long and short term consequences and outcomes of their topic. Modified with permission from Utah History Day’s Historical Context: Sets the Stage.